I’m a very loud person from a long line of loud proud people. It’s a family thing. We all just yell over each other. But there’s never any hate or malice. We raise our voices in a misguided attempt to win arguments and debates. It’s been this way for as far back as I can remember, and for the uninitiated, it can be overwhelming. But it wasn’t until I was diagnosed with Meniere’s disease, with its ability to turn a loud crowded dinner into an oppressive barrage of sound, that I understood what outsiders must have thought of our family gatherings. I’ll never forget the first time my wife Megan and I were in the car with my extended family over the holidays. What might have been a peaceful trip quickly devolved into chaos when we suddenly realized we were lost on our way to the restaurant. Suddenly, five loud and seasoned backseat drivers sprung into action, yelling over one another in an attempt to solve the problem. When we finally made it to the restaurant, Megan was visibly upset, and I imagine also somewhat confused at the fact that like magic, we all were completely at peace with one another. It was hard for her to wrap her head around the fact that we never were angry at each other. Family dynamics are a funny thing like that. 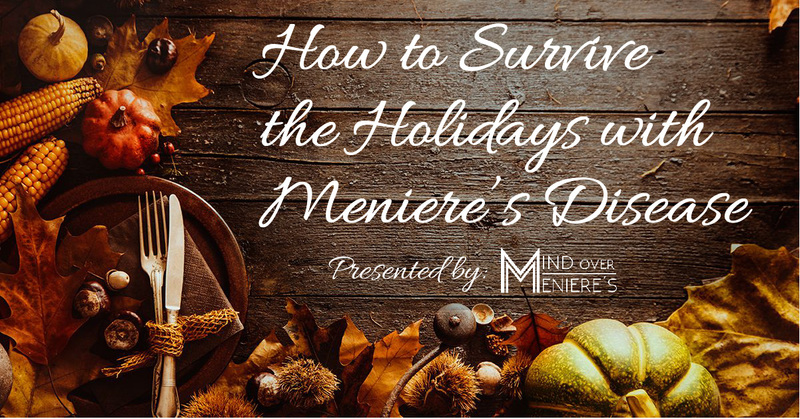 There’s no question that the holidays can stir up a lot of emotions no matter who you are, but for those of us with Meniere’s disease, it can be uniquely challenging. Fortunately, over the years I’ve learned few things about navigating these waters. The holidays don’t have to spell disaster. When approached the right way, they can be a profoundly positive experience. It’s should come as no surprise that managing stress is crucial to surviving the holidays. Stress is such a big trigger for so many of us with Meniere’s disease. And it certainly doesn’t help that no one else can push our buttons quite like our family can. But just because the holidays can be stressful doesn’t mean that you are going to have a hard time. Here are a few simple ways you can stay relaxed over the holidays, no matter how crazy your family happens to be. Plan for the worst: There is no reason to expect that everything will go wrong, but planning for any possible negative outcomes is a good strategy. Having unexpected vertigo, or even less severe symptoms like brain fog, can quickly derail your holiday plans. But if you are prepared, you can prevent it from ruining your day. Take a few minutes to come up with a list of everything that might go wrong. Once you have a list, create a specific set of actions you can take to remedy each situation. This can include any symptoms you might have, as well as any family related stress you are anticipating. Also, make sure to bring any medications that you may end up needing. When you plan for the worst with this simple exercise, you will be prepared to handle anything that might go wrong. You will be able to stay calm and handle the situation quickly. Pro Tip – I created a free tool to help you plan for every possible situation. It’s called the Meniere’s Disease activity Planner and you can download it for free right now! This free worksheet is designed to be filled out ahead of time and can be provided to your loved ones so if anything does go wrong, they will know how to help. Take time to rest: Even when I’m not dizzy, I still have to deal with brain fog and fatigue. And it’s hard to get through each day when I only have part of the energy I need to meet my responsibilities. Priority management helps, but so does getting plenty of rest. As you get ready for the holidays, makes sure to plan for time to rest. Consider letting your family know ahead of time as well. Your family will appreciate having you in a better mood, even if it means seeing less of you. Also make sure to get extra sleep. A lack of sleep will spike your stress hormones and can cause your symptoms to flare up. Getting a full night sleep will go a long way toward successfully managing your stress. Pro Tip 1 – If you only have a few minutes to relax and regroup, try the one minute better mindset technique! Pro Tip 2 – The Mind Over Meniere’s Symptoms Relief Project contains powerfully relaxing brainwave training audio tracks. The Stress Melter and Vertigo Reliever tracks are all incredibly relaxing and only take several minutes for the effects to come on. There are also tracks designed to help you fall asleep more easily. Take it from me: it’s very easy to overindulge with junk food around the holidays. From ham and eggnog, to cookies and cakes, a healthy meal is typically not on the menu. It can be a big problem if you have Meniere’s disease, but it doesn’t have to be. Bring food with you: Even if your host is cooking the meal without salt, it’s always good idea to bring snacks with you. Or at the very least, eat something before you get together with everyone else. In my family, appetizers tend to be cheese plates, crackers, and dips, all of which I try to avoid. Having snacks with you is a great solution. In this kind of situation, I typically will eat something before I head over, bring my own snacks, and just eat a smaller portion at dinner. Click here for more low sodium strategies, tips and tricks! Pro Tip – You can find a ton of great low sodium snacks on Amazon. Take a look at the Mind Over Meniere’s Ultimate List of Helpful Meniere’s Disease Products and Every Day Items for Meniere’s Disease for some great low sodium snack ideas! Take activated charcoal: Activated charcoal capsules are somewhat of a recent discovery for me, but they have made a huge difference in how I feel after eating a meal, especially if the meal is of lesser quality or higher in sodium. I’ve found it to be a great way to reduce the brain fog and fatigue that I often feel when I eat out. Be careful though – activated charcoal will absorb any other medications or supplements you’ve taken within two hours, before or after. So make sure to talk to your doctor first before trying this one. Loud environments can be challenging with Meniere’s disease, and even more so with hearing loss. It’s easy to feel overwhelmed and it can make it hard to focus in on a conversation. Here are two tricks to make it easier. Excuse yourself: If you start to feel overwhelmed, don’t be afraid to get up and take a short break away from the noise. Sometimes a few minutes of peace and quiet is all you need to bring yourself back to center. Pro Tip – Let at least one other person know that you may have to excuse yourself and set up some sort of signal, whether a hand signal, or verbal cue, to let them know you are getting up because you are overwhelmed or not feeling well. This way, if you are gone for a while, they will know to come check on you. As challenging as the holidays can be, it’s important to try to enjoy yourself as much as possible. The holidays can be a source of pain but they also have the potential to be beautiful. Spending quality time with your loved ones can afford them the opportunity to see you in a new light and come away with a better understanding of what you go through on a daily basis. At the end of the day, it’s worth the effort, and if you find yourself having a good time, savor it for all it’s worth. I wish you all a happy Holidays! P.S. I’d love to hear about your Holiday experiences with Meniere’s disease. Leave a comment below with any stories or tips you have to share! Awesome! Thanks for the tips! Happy Holidays Glen and Megan. In 3 hours my sun and family will come for supper ( my husband cooks ) bless him. They bring desert and they are loud , loud happy laughs ,grandson who will always wish to talk, and the baby ….. well. I am ready, and tell you how it went. Something else, Hershey’s has a cocoa on the market that is 99,9 %caffeine free. Thats a great tip, thanks Renee! Happy holidays! My biggest challenge is the aftermath. We had my family over to celebrate on Chtistmas Eve and I had a great time. Unfortunately, it takes me 2 days to recover, meaning I was in bed all but a few hours on Christmas Day! Thankfully my husband is very understanding and takes care of the kids and what needs to be done, but I missed out on spending that time with family because I was so exhausted. ? I had the same problem at Thanksgiving. Hi Karen, I know what you mean about needing rest after, but I’m so glad to hear that you got to spend time with everyone and had a great Christmas Eve! 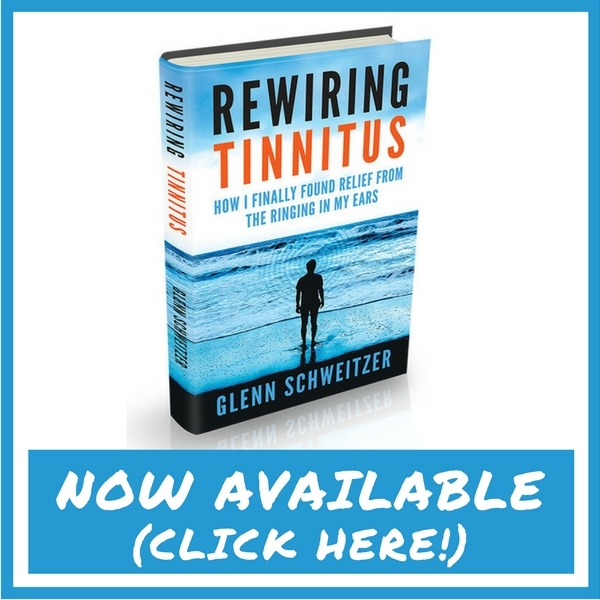 In case anyone is interested Dr Berg on utube recommendations on tinnitus is very good. It Works ? I always bring my own food to gatherings, especially at Thanksgiving. Most turkeys are infused with sodium–bread-stuffing as well–and Green Bean Casserole is toxic. People are used to eating the way they eat; I don’t expect them to make exceptions for me. I no longer host holiday dinners; the stress is too much. I don’t think anyone really understands, but what matters is that I don’t get sick. Thanks for the helpful tips, Glenn. I ordered the earplugs. Can’t wait!